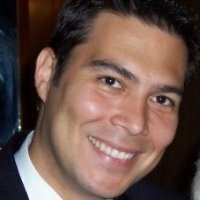 Rafael Alfonzo is an entrepreneur with more than 15 years of experience operating, investing in, and representing startup and growth businesses. He is the founder and managing partner of Quatrefoil Capital, an entrepreneurial buyout fund. Rafael is the CEO of Datum Technologies, an IT services company focused on the multi-unit restaurant industry. He previously co-founded Distributed Sun, a solar energy developer that builds and operates commercial solar power plants across the US. Rafael also co-founded the Sloan Investor Group, an Angel network focused on seed-funding companies launched out of the Massachusetts Institute of Technology. Rafael also practiced law at Holland & Knight, an international law firm, where he represented clients ranging from private small & medium businesses to public companies. He is admitted to practice in California, the District of Columbia, Florida, and New York. Rafael began his career serving as an officer in the US Marines, deploying throughout SE Asia and Latin America. He is a graduate of the University of Michigan, the Massachusetts Institute of Technology Sloan School of Management, and The George Washington University Law School.